It's fast becoming tradition for Indian Motorcycles to reveal its latest and greatest at the annual Sturgis Motorcycle Rally, and with the 75th such celebration just a few months away many people have been wondering what America's oldest motorcycle brand has up its sleeve. Documents filed this week with the California Air Resources Board may provide the answer. Certification documents have revealed Indian has in the works a model called the Indian Chief Dark Horse. 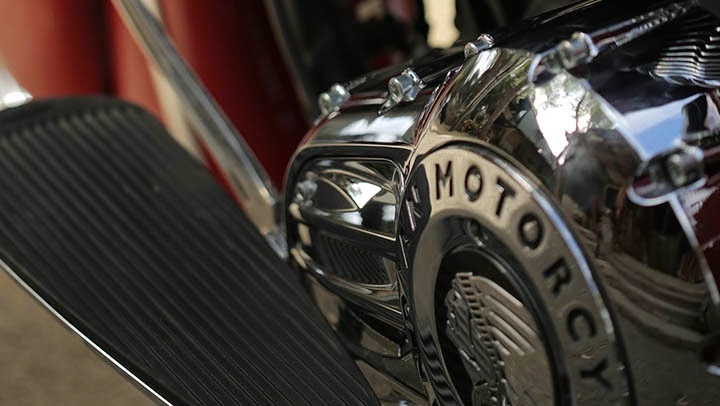 The model is equipped with the same Thunderstroke 111 V-twin engine currently being used in the Chief Classic, Chief Vintage, Chieftain and Roadmaster models. Very little additional information about the bike is revealed apart from the fact that it weighs 10 kg. (22 lbs.) less than a Chief Classic. The Chief Classic is the most "basic" of Indian's big-engined models, so the lesser weight on the Chief Dark Horse suggests a stripped-down model, perhaps something in the popular bobber style. If the model is revealed at Sturgis this year, it may not be the only one. Reportedly, Indian has also filed a trademark application for the name "Indian Springfield" -- presumably a nod to Indian's original home town of Springfield, Massachusetts (Indians are now assembled in Spirit Lake, Iowa, with their parent company, Polaris, being based in Medina, Minnesota).